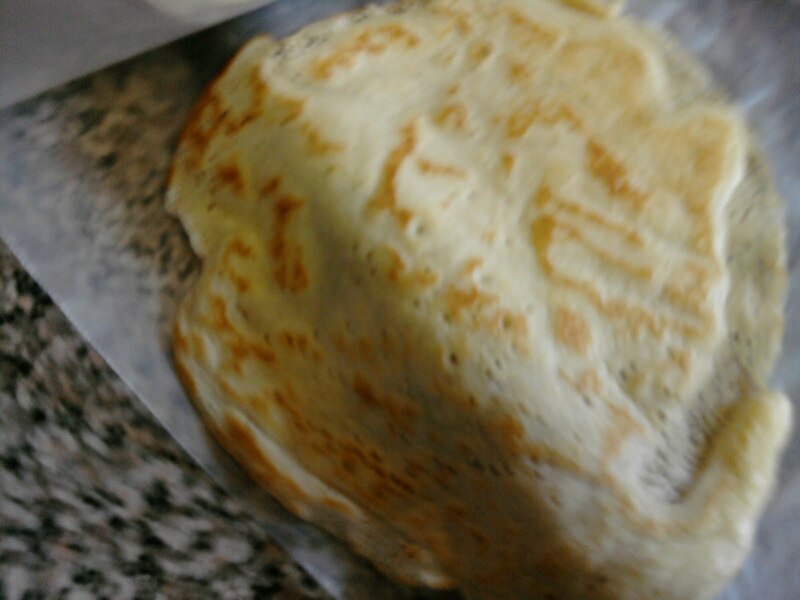 *you will need to refrigerate this crepe mix for 1hour, whereas the Bisquick one you do not. 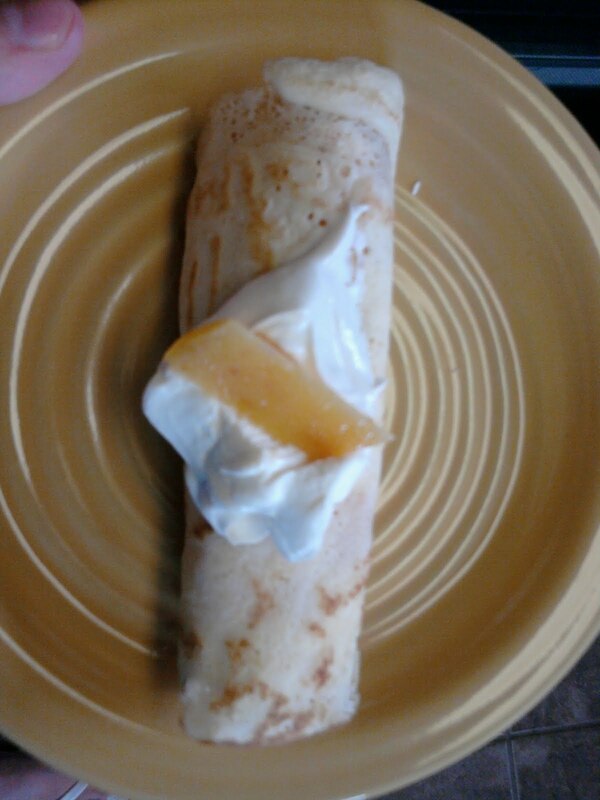 Once both sides are done place on wax paper. *recipe makes about 20 crepes, so you can make some and save rest of mix for tomorrow if you want! Don't suggest you keep for more than one night. 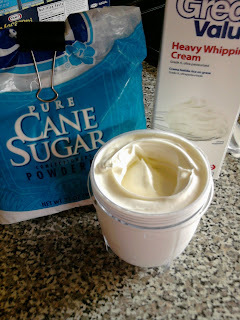 mix together whipping cream, powdered sugar, and vanilla. (I have a Magic Bullet, so this is like 20sec in that if you have one). I usually check it, stir it and just tap it through the mix again for like 5 sec. Cut up your fruit....You can use any really. 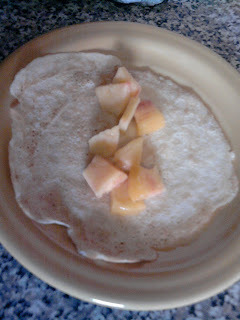 I like to use either peaches (shown in pic) or strawberries, but banana's, blueberries, etc...would work well too. And there you have it! 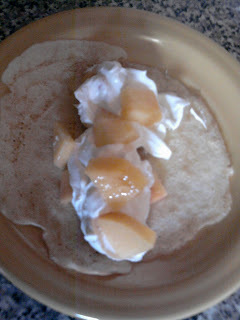 Easy fruit crepes the whole family will enjoy!! !